Turning lights off when not in use is one of the simplest ways to save energy in a home or business, but it also provides a unique benefit after the sun goes down. In addition to saving money and reducing your carbon footprint, turning out lights at night makes it safer for migrating birds to complete their journeys each spring and fall. This spring, the Audubon Society’s Lights Out campaign is encouraging residents and building owners to turn off unnecessary lights during peak migration periods. This includes simple changes like turning off rooftop lighting, exterior and decorative lighting, and installing motion sensors on interior lights between 11 p.m. and dawn. It may come as a surprise, but many diurnal birds migrate at night to avoid predation, maximize daylight foraging hours, and use celestial cues for navigation. Bright city lights lure these nighttime migrants into urban areas and confuse them by obscuring their navigational aids, which makes it difficult for the birds to find their way back out of a developed area. Energy Trust helps businesses and municipalities reduce this light pollution by providing incentives for lighting controls that automatically shut off lights when they’re not needed. 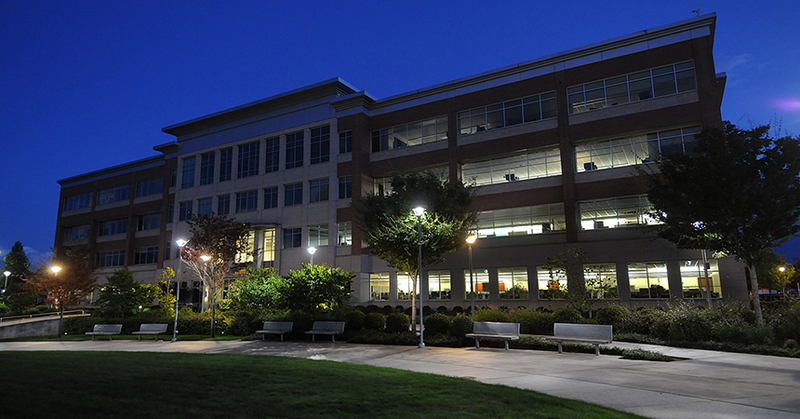 Clackamas County’s Public Services and Development Services Buildings has benefitted from reducing night-time lighting use. They developed a motion-sensitive relay system that triggers emergency lights to come on only when people are actually in the buildings, allowing lights to remain completely off when no one is present. Energy Trust provided an $18,000 incentive and estimates that the new motion-sensitive emergency lighting will cut nighttime energy usage by at least 25 percent. To learn more about what lighting opportunities are right for you, visit energytrust.org/incentives.